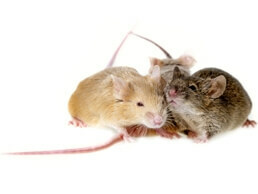 The most effective method of rodent removal is prevention and early deterrence. When prevention fails, seek the services of an expert like the ones at Critter Control® South West Florida to help you remove them safely since rodents carry potentially deadly infections. If you suspect a possible rodent infestation in your home or business, act before these unwanted little furry hazards get out of control. Critter Control of South West Florida offers professional wildlife and pest control services. Call us today at (941) 355-9511 to schedule your free consultation.